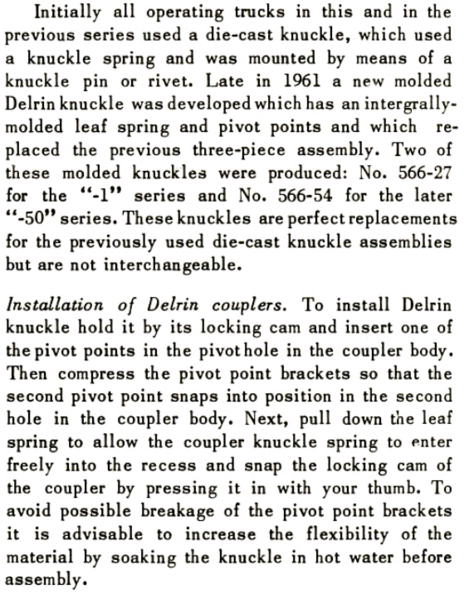 I have of 566-54 Plastic Coupler Knuckle where the plastic spring broke. These are certainly easier to install than the cast ones, but apparently don't last as long. I tried replacing the plastic coupler with a traditional one, but the spring wouldn't open the coupler. Does anyone have any tips or tricks for replacing the plastic knuckle with something more reliable or do I just live with the fact they will need to be replaced more frequently. The 480-8, 480-16, TC-23 combination is not a interchangeable for the 566-54 according to the service documents. 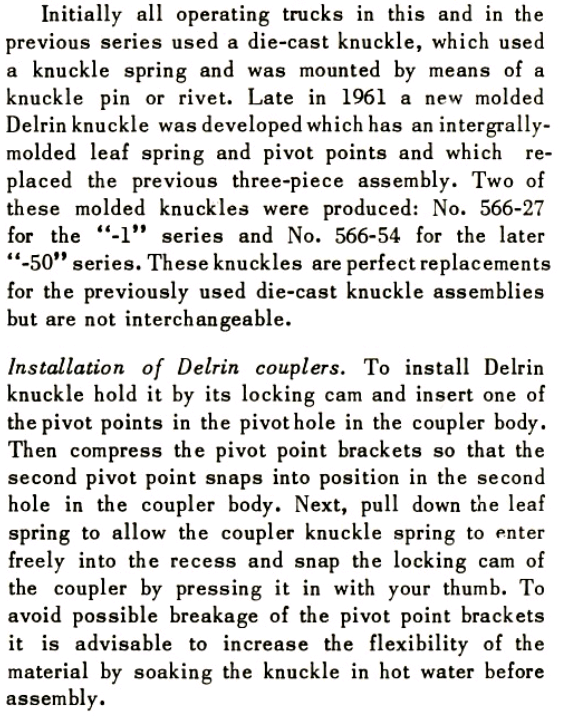 The issue with these delerin knuckles is that most of time, rolling stock are stored with the knuckles closed eventually causing the spring to break. However, I have not had a replacement one fail on me - maybe you just had bad luck?